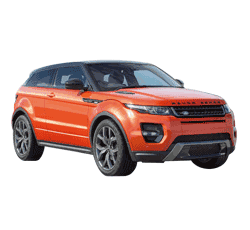 The 2014 Land Rover Range Rover Evoque is a small crossover sport utility vehicle (SUV) that is designed beautifully and elegantly. This small SUV is a treat for your eyes. It is one of the few SUVs with a 9-speed automatic transmission. The new 2014 Land Rover Range Rover Evoque features a parking exit system, a sliding center armrest and a new exterior mirror. The 2014 Land Rover Range Rover Evoque has an exterior design that is comparable with few of its competitors. The 2014 Land Rover Range Rover Evoque is expertly designed and is great for customers interested in a stylish SUV. This vehicle certainly stands out even in the most crowded highways. The 2014 Land Rover Range Rover Evoque is available in 5 trims. They are Pure, Pure Plus, Pure Premium, Prestige and Dynamic. Land Rover is also introducing the Evoque Autobiography, which is slated to hit the market in 2015. Each of these trims is packed with a wide range of features. The 2014 Land Rover Range Rover Evoque offers a combined 24-mpg. This is one of the few compact SUVs with the highest mpg currently available. The nine-speed automatic transmission instead of the six-speed transmission definitely helps the improved mileage. The 2014 Land Rover Range Rover Evoque is equipped with a 2.0-liter 240-horsepower four-cylinder engine. All trim levels come with an all-wheel drive. All models are fitted with a Terrain Response system, which automatically adjusts the vehicle response depending on road conditions. A Hill Start Assistance system is also available on these vehicles. The 2014 Land Rover Range Rover Evoque comes with stability and traction controls. The vehicle is equipped with other features such as antilock brakes, trailer sway control, front airbags and side airbags. The 2014 Land Rover Range Rover Evoque models also include a front and rear parking sensors, in addition to a rearview camera. This compact SUV also features blind spot monitoring, an adaptive cruise control system, frontal collision warning system and a 360-degree parking camera. The interior of the 2014 Land Rover Range Rover Evoque is furnished with beautiful leather and various designer inspired features. All entertainment and climate control features are controlled from an 8-inch center display. The Evoque features a sloping roofline. The 2014 Land Rover Range Rover Evoque is highly responsive to various weather and terrain conditions. The 2014 Land Rover Range Rover Evoque shows no signs of stress if you are going uphill on an adventure trip. The available safety features add more confidence to the power and handling offered by this smart SUV. The 2014 Land Rover Range Rover Evoque is priced from the low 40s to the high 50s. The Pure trim starts at $41,995.00. 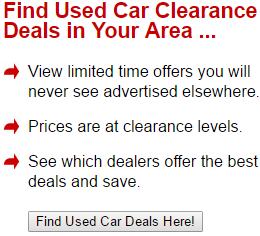 The price does not appear to be a deterrent for potential buyers of this small SUV. The high end Pure Premium trim is priced at $50,995.00. The 2014 Land Rover Range Rover Evoque is priced corresponding to the number of extra features tucked into each trim level. A small, compact SUV such as 2014 Land Rover Range Rover Evoque is not expected to include great cargo space. However, the Evoque provides ample space for your cargo requirements. The Evoque offers a volume of 20 cubic feet with the rear seat in upright position. The SUV expands to 51 cubic feet of cargo space with the rear seat folded to the forward position. The 2014 Land Rover Range Rover Evoque provides unique features and technological innovations to maximize the pleasure of your next adventure. The HDD premium navigation system and the Park Assist feature add confidence to your next voyage. The vehicle is fitted with industry leading Meridian sound system. All trim levels are equipped with USB ports, keyless starter and heated front seats. The 2014 Land Rover Range Rover Evoque is slightly noisy on long highway trips. The engines from competitors such as Mercedes Benz are less noisy compared to the engines of 2014 Land Rover Range Rover Evoque models. The insides of the 2014 Land Rover Range Rover Evoque are less roomy compared to many of its competitors. There is very little space available to the second row passengers. This may not be a problem if you are folding your rear seats to make room for cargo. Many customers looking for a typical SUV may be disappointed with the compact and sporty look of the 2014 Land Rover Range Rover Evoque. The SUV is much smaller compared to many of its rivals. If you love bigger SUVs, then you may not find the 2014 Land Rover Range Rover Evoque a viable option. The 2014 Land Rover Range Rover Evoque is a small, smart and unique sports utility vehicle. It offers the versatility of a mid-size car, yet features the power and elegance of an excellent sports utility vehicle.